I’m going to describe a creature, and you have to try and guess what it is, based on the following three clues: 1) it lays eggs; 2) it has venomous claws; and 3) it uses electroreception to assist it in catching prey under water. You probably guessed some sort of reptile, right? Wrong. Ok, so those questions were a bit tricky. I’ll give you another three clues: 4) it’s semi-aquatic; 5) it has thick fur; and 6) despite laying eggs, it suckles its young on milk. Some of you will probably have worked out what this mysterious animal is by now. 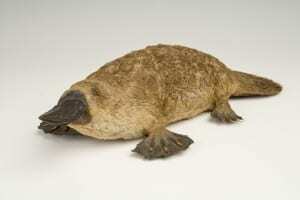 I am, of course, describing Ornithorhynchus anatinus, or as it is more commonly known, the platypus. Growing up in Australia, I was fascinated by the native wildlife. As a curious 7-year-old recently emigrated from England, I tried to assimilate the unfamiliar Antipodean fauna into my limited understanding of the animal kingdom, largely through approximations: To me, the wombat was like a kind of stout, snub-nosed badger; sugar gliders were reminiscent of squirrels; and the echidna was a larger and longer-nosed version of the hedgehog. Kangaroos were a more difficult species to accommodate, with a face similar to a deer, and the hind legs of some sort of giant Alice-in-Wonderlandesque rabbit. But my system completely fell down when it came to the platypus. This creature was truly weird, a kind of animal cut-and-paste that defied all of the categories that I tried to fit it into. As it turned out, I wasn’t alone in my estimations of this remarkable and unique creature. Ornithornhynchus anatinus, John Gould (1863). All of the animals listening, including people, agreed that the platypus was very wise; and the people decided that they would not hunt the platypus because he was so special. Non-human animal hybrids of Eurasian mythology have also often been considered special, such as the Griffin, which combined features of the lion and eagle, both of which were regarded as especially regal animals. Animal-hybrids from diverse mythological traditions demonstrate the significance of animals within human culture, playing an important role in origin stories and cosmology, as well as in defining what it is to be human. In the Aboriginal story above for instance, the strange ‘hybrid’ character of the platypus reminds us to accept and learn from our differences. To early European observers, the platypus must have seemed like the ultimate foreign creature, an almost perfect embodiment of mythical animal-assemblages such as the Chimera, a fire-breathing, androgynous, composite creature of ancient Greek legend that had the head and body of a lion, a snake for a tail and the head of a goat emerging from its back. But the platypus does not merely look like an odd melding of different species; recent scientific research has revealed that the platypus also has a very complex genetic lineage. Studies on platypus venom, which is secreted from a gland in the male’s hind legs and delivered by a ‘spur’, or hollow claw-like structure, have shown that their venom contains 80 different toxins, which share genetic similarities to poisons produced by snakes, lizards, spiders, starfish and sea anenomes, as well as containing 3 proteins that are unique to the platypus. Despite these genetic similarities, this research suggests that platypus venom is an example of convergent evolution, whereby similar traits in different genetic lineages can arise independently due to similar environmental pressures. The eye, wings and fins are all examples of convergent evolution. Thus it seems that whilst the platypus appears to closely resemble a range of other species – both on the surface and genetically – it is nevertheless a uniquely adapted and very special creature indeed. Platypus taxidermy specimen at the Grant Museum of Zoology. 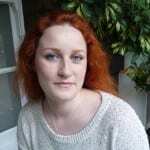 Photograph © The Grant Museum, UCL. Brian K. Hall, The Paradoxical Platypus in BioScience, Vol. 49 No. 3 (March 1999), p. 211. George Shaw, The naturalist’s miscellany – Platypus Anatinus, June 1799, Vol. 10, published by Frederick P. Nodder, (London 1813/14). Available online from the Library of NSW. Helen F. McKay, Pauline E. Jones, F. Francis & June E. Barber: Gadi Mirrabooka: Australian Aboriginal Tales from the Dreaming. Libraries Unlimited (2001), pp. 57-60 & 83-85. 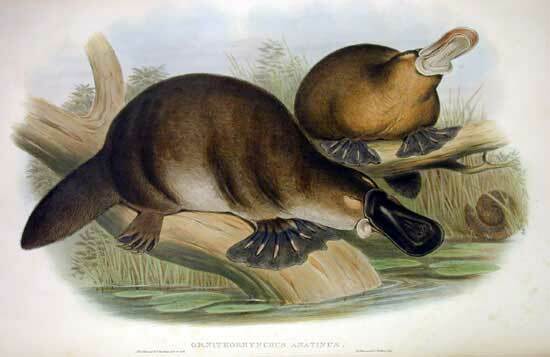 Ewen Callaway, Poisonous Platypuses Confirm Convergent Evolution in Nature, (October 12th 2012).